In Oman the construction of the largest botanic garden on the Arabian peninsula, and indeed the world, is underway. The project was created in partnership with the Arup, Grimshaw and Haley Sharpe Design (hsd) studios. 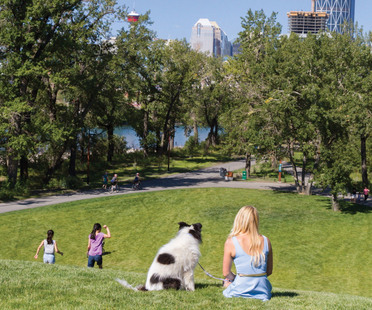 The city of Calgary, in Canada, has a new green heart thanks to the revitalisation of the historical park on St. The creative activists of LuzInterruptus participated in “Recuperem La Punta”, an initiative in La Punta, Valencia, Spain, using luminous art to showcase the possible recovery of the inhabitants' old vegetable gardens that were destroyed and now lie unused and forgotten after a major port development. Iranian artist Shirin Abedinirad realised the “Revision” installation for the Lorne Sculpture Biennale 2018 in Victoria, Australia. 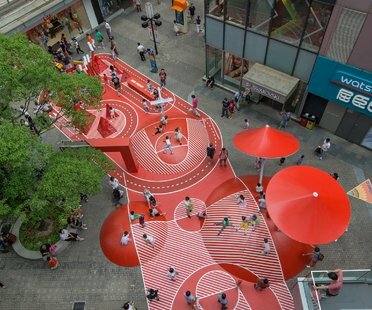 Red Planet is the latest creation by studio 100architects, specialised in street architecture and urban interventions. After careful renovation, the Amanruya resort, designed by Emine and Mehmet Öğün’s studio, reopens its doors. 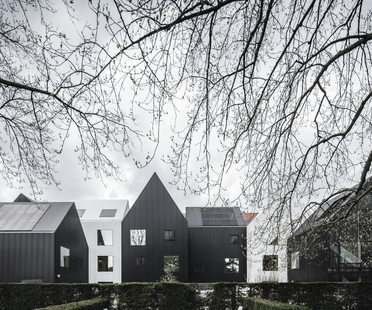 The volume in the Nordic Architects series of publications that Arvinius+Orfeus is dedicating to Nordic architecture uses examples of Scandinavian architects to explore one of the key aspects of contemporary architecture - the global impact of urbanisation.